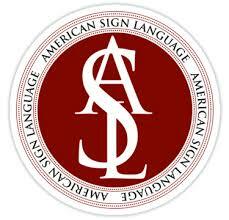 ASL Club aims to educate the public about Deaf culture and history, to promote the usage of American Sign Language in current and future situations, to encourage cooperation with the Deaf community and encourage the necessity of learning the language, and to Provide initiative and leadership to all members. Our board members will work hard to make this club fun!! We hope to see you there.